Recently (a few months ago), I have been informed about interesting SDRS behavior which is not exposed through standard GUI nor advanced settings but available through API. Such functionality was not very well known even within VMware so I have decided to blog about it. vSphere API Call for SDRS Initial Placement can lease recommended storage resource for some time. What does it mean? Just after recommendations, SDRS can lease the storage space on recommended datastores to have an interim reservation for somebody who is, most probably, going to do provisioning. By default, SDRS do not lease storage space on recommended datastores, therefore, you can observe provisioning failures in some situations. I have simulated such situation in Test #3 of test plan available here. Such situations are not very common when you do manual provisioning but there is higher probability when automated provisioning is in use so you can experience such issues on environments with VMware vRealize Automation (vRA) or vCloud Director (vCD). And now the secret I did not know ... SDRS has the solution for such issues since vSphere 5.1. When somebody (vRA, vCD, anybody else who wants to deploy VM) asked for SDRS recommendation via API call, that API call can include specific parameter (resourceLeaseDurationSec) which will instruct vSphere to block the recommended storage space on datastores only for provisioning of that specific SDRS recommendation. It's worth to mention, the resource leasing is released immediately after provisioning, therefore the time defined in resourceLeaseDurationSec is actually the maximum reservation time of the resource just in case somebody who wanted to do provisioning change his mind and decided to not deploy VM. This is to avoid unnecessary storage space reservations. If you want to know details check API documentation. Here is what is written in vSphere API documentation about placeSpec.resourceLeaseDurationSec - Resource lease duration in seconds. If the duration is within bounds, Storage DRS will hold onto resources needed for applying recommendations generated as part of that call. Only initial placement recommendations generated by storage DRS can reserve resources this way. Parameter resourceLeaseDurationSec is used in StoragePlacementSpec which encapsulates all of the inputs passed to the VcStorageResourceManager method recommendDatastores. VcStoragePlacementSpec is documented here. So that sounds good, right? Well, there is one issue with this approach. SDRS can give provisioning application more recommendations (multiple datastores) which would lead to blocking more storage space than is really needed. VMware engineering is aware of this issue and at the moment works at least with vRA BU to solve it. As far as I know, the final solution will be a special SDRS setting to return single recommendation. 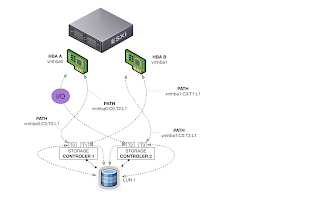 However, this is planned as a specific integration optimization between SDRS and vRA provisioning. What ESXi command will create kernel panic and result in a PSOD? This is a very short post but I want to publish it at least for myself to find this trick much quickly next time. Of course, you have to SSH to particular ESXi host before you can run the command above. And probably due to such additional intelligence, VMware customers usually expect that VMware vSphere will do some magic to mitigate physical storage or SAN related issues. First of all, it is logical and obvious that VMware vSphere cannot solve the issue of physical infrastructure. However, there can be some specific scenarios when the storage device is not available through one path but available via another path. In this blog post, I would like to share my recent findings of storage issues and VMware native multipathing. Let's start with the visualization of storage multipathing over Fibre Channel SAN. Usually, there are two independent SANs (A and B). Each ESXi HBA is connected to different SAN. From the storage point of view, each storage controller (two storage controllers depicted in the figure below) is connected to different SAN through different storage front-end ports. HBA port is storage initiator and storage front-end ports are usually storage targets. Note: The storage system usually exports multiple LUNs with additional paths but we use single LUN (LUN 1) here for simplicity. Multipathing policy type dictates how multiple I/Os are distributed across available paths but if the one I/O is sent through particular path it will stick on it until the path is claimed as dead. Single I/O flow is depicted below. ... storage path does not fail over when the path to the target is up and sending reponse back into the initiator even the LUN is not available for whatever reasons. The reason for such conservative vSphere behavior is that Enterprise Storage System and SAN should work and storage vendors claiming storage availability higher than 99.999%. Multipathing is usually solving the issue with the path to the storage system (to storage target ports) but not the problem on the storage system itself (LUN unknown unavailability). I personally believe, the physical storage system has another possibilities how to respond to ESXi host that particular path is not available at the moment and instruct ESXi multipathing driver to not issue I/Os via particular path if it is necessary and the storage system does not have other possibilities for transfer I/O to the LUN in the storage. However, the reality is that some storage systems do not have LUN available (TUR return errors) through one path but it works via another path. This is a typical interoperability issue. However, I have just been informed that there is a solution how to resolve this interoperability issue. You can use the enable_action_OnRetryErrors option. What is the advanced option enable_action_OnRetryErrors? This option allows the ESXi host to mark a problematic path as dead. After marking the path as dead, the host can trigger a failover and use an alternative working path. I assume that in case the LUN is not available via any path, all paths will be claimed as dead until LUN works again. See VMware KB 2106770 (Storage path does not fail over when TUR command repeatedly returns retry requests) for instructions how to enable/disable the option. Now you can ask when the storage path claimed as dead will become active again in case the LUN is back and available. All paths claimed as dead are periodically evaluated. The Fibre Channel path state is evaluated at a fixed interval or when there is an I/O error and TUR is returning nothing, which is not our case here. The path evaluation interval is defined via the advanced configuration option Disk.PathEvalTime in seconds. The default value is 300 seconds. This means that the path state is evaluated every 5 minutes unless an error is reported sooner on that path, in which case the path state might change depending on the interpretation of the reported error. However, I have been told that this standard Disk Path Evaluation DOES NOT return path to an active state when it was claimed as down by OnRetryErrors action. My understanding of the reason for such behavior is that the storage path had some errors, therefore, it is not good to put the path back into production to avoid flip-flop situation. Let me stress again, such intelligent and proactive failover behavior based on TUR responses is not the default one. At least not in vSphere 6.5 and below. There are some rumors that it can change in the next vSphere release but there is not any official messaging so far. I personally think that more intelligent behavior is better for VMware customers which are usually expecting such cleverness from the vSphere and they are negatively surprised how vSphere behaves in case of storage issues over some paths. Som the intelligent and proactive failover behavior based on TUR responses can be additional cleverness of VMware vSphere native multipathing, however, it is important to say that it would help with few specific behaviors/misbehaviors of some storage systems but the basic rule is still valid ... "NO STORAGE, NO DATACENTER". Disclaimer: This is my current understanding how vSphere ESXi handles storage I/O based on my long experience in the field, tests in the lab, design and implementation projects and knowledge I have read from the documentation, VMware KB's and books. If you want to know more, please, check some relevant references below and do your own research. I do not if my understanding of this topic is complete and if I do not understand something wrong. Therefore, express any feedback in the comments and we can discuss it further because only deep constructive discussions lead to further knowledge. In the past, I have documented start order of services in VMware vCenter Server Appliance 6.0 U2. In the past, I simply stopped all services in VCSA, started them again and document the order. vmon-cli do not report anything to standard output but it is very verbose to log file located at /var/log/vmware/vmon/vmon-syslog.log so grep of the log can help to understand the start order of vmon controlled services. 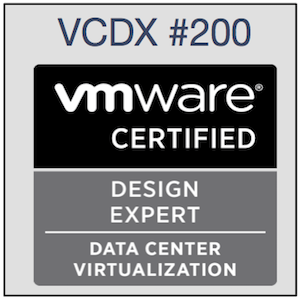 Hope it helps to other folks in VMware community. 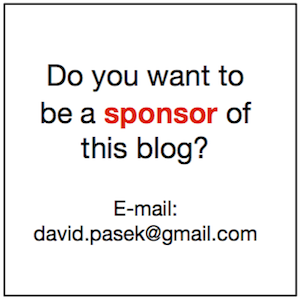 vSphere Switch Independent Teaming or LACP? I have answered this question lot of times during the last couple of years, thus I have finally decided to write a blog post on this topic. Unfortunately, the answer always depends on specific factors (requirements and constraints) for the particular environment so do not expect the short answer. Instead of the simple answer, I will do the comparison of LBT and LACP. I assume you (my reader) is familiar with LACP but do you know what LBT is? If not, here is the short explanation. VMware LBT (load based teaming) is advanced switch independent teaming available on VMware DVS which pin each VM vNIC to particular physical uplink in roud robin fasion but if the network traffic of particular physical NIC is higher then 75% of total bandwidth over 30 seconds it will initiate rebalancing across available physical uplinks (physical NICs of ESXi host) to avoid network congestion on particular uplink. If you are not familiar with basic VMware vSphere networking read my previous blog post "Back to the basics - VMware vSphere networking" before continuing. What we are doing is the comparison of switch independent teaming and LACP. LACP is the capability of VMware Distributed Virtual Switch (VDS), therefore, I would assume you are on vSphere Enterprise Plus license and having VDS. When you have VDS then I would have another assumption, that you are already considering LBT as it is the best choice for switch independent teaming algorithms available on VDS. Beacon probing can be used. Note: Beacon probing requires at least 3 physical NICs. Single VM cannot handle traffic higher than the bandwidth of single physical NIC. Traffic is load-balanced across links in the channel from ESXi perspective (egress traffic) but only at VM NIC granularity and returning traffic (ingress traffic) is forwarded by the same link as egress traffic. One of the main LACP advantages is continuous heartbeat between two sides of the link (ESXi physical NIC port and switch port). VMware's LACP is sending LACPDUs every 30 seconds but it can be reconfigured to fast mode when LACPDUs are exchanged every 1 second. This improves failover in case of link failure and also helps when link status (up/down) do not work well. Single VM can, in theory, handle higher traffic then single physical NIC because of load-balancing algorithm. Trafic can be load-balanced from both sides of the link (virtual link channel, port-channel, etc.). 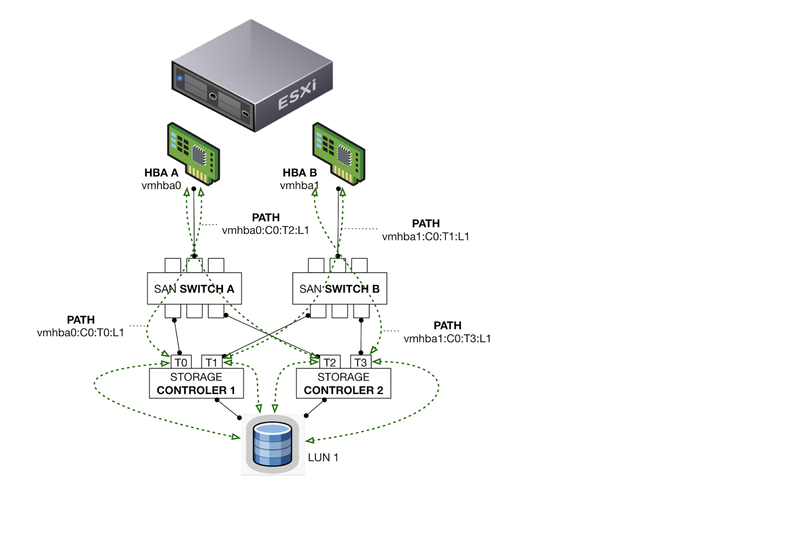 From ESXi perspective by ESXi and from the switch perspective by load-balancing set on the switch side. The proper configuration on both sides is required. The LACP is not supported with software iSCSI port binding. The LACP support settings are not available in host profiles. So which option is better? Well, it depends. When you do not have direct or indirect control of physical network infrastructure then switch independent teaming is generally much simpler and safer solution, therefore LBT is a better choice. In case, you trust your network vendor LACP implementation and you have some control or trust your physical switch configuration LACP is the better choice because of LACPDU heart beating and multiple load-balancing hash algorithms which can, in theory, improve network bandwidth for single VM network traffic and can be configured on both sides of the link channel. Another advantage is that LACP works better with multi-chassis LAG (MLAG) technologies like Cisco vPC, Dell Force10 VLT, Arista MLAG, etc. Generally, Multi-Chassis LAG "orphan ports" (ports without LACP) are not recommended by MLAG switch vendors because they do not have the control of the end-point. So the final decision is, as always, up to you but this blog post should help you with the right decision on your specific environment. Any other opinions, advantages, disadvantages, and ideas are welcome, so do not hesitate to write a comment. Check "Limitations of the LACP Support on a vSphere Distributed Switch" in the documentation here. Q: VMware's LACP is sending LACPDUs every 30 seconds. Is there any way how to configure LACPDU frequency to 1 second? Relevant blog post on this topic "VMware vSphere DVS LACP timers". Q: Does ESXi has a possibility to display LACP settings of established LACP session in particular ESXi host? Something like "show lacp" on Cisco switch? Q: How VMware vSwitch Beacon Probing works? Q: What is Beacon Probing interval? Q: Is ESXi beacon probing send beacons to every VLAN? A: Yes, but only to VLANs (portgroups) where at least one VM is connected. It does not make sense to test failure on VLANs where nothing is connected.